To everyone out there, but particularly to all the many magic people I’ve had the blessings to meet (at least virtually) during my first year blogging on the “Streets of Nuremberg” I wish a peaceful and merry Christmas and much love and laughters together with your family and friends. Danke, spät gibts nicht 😊🙏! Bisher war alles ganz relaxed, ich hoffe bei Dir auch! Happy Holidays und dann einen guten Rutsch! Sorry for the delay but I have been sick this Christmas and still am. At least I feel better today to be on here for a moment and wish you a very delayed Christmas greeting. Sending you blessings and many special moments throughout the remainder of the year and that the new year brings everything you wish for. Many hugs and happy holidays my friend. Thank you Marcus, trying to get better by hopefully sleeping it off. Your words mean a lot like always and I appreciate your well wishes. Xoxoxoxo. 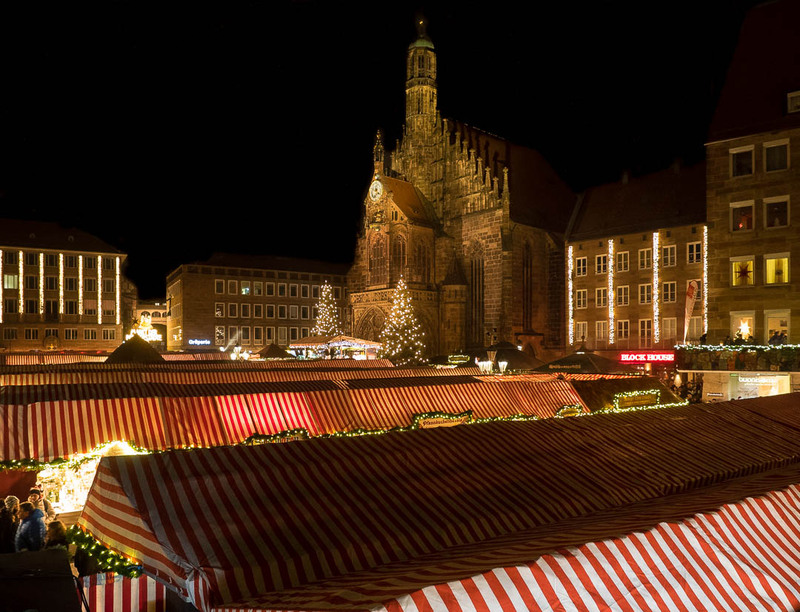 We were at the Christmas market in Nuremberg a couple of years ago. This year we tried Berlin. Thanks, Birgitta, have a blessed and joyful Christmas 🎄😊! Beautiful image of a church I know quite well. Merry Christmas! Stunning and beautiful photograph! Merry Christmas from Utah to you and your family!!! Oh goodness! So beautiful. I love this photograph. Love it. Merry Christmas Marcus! Danke – Dir und den Deinen auch frohe Weihnachten! what a beautiful, beautiful image!! Thanks so much! Merry Christmas to you too, Alexandra! Merry Christmas from eastern Canada! Merry Christmas for you and you family!